It’s fair to say, the results were quite scary. Earlier this month whilst sat around the board room table, we had this outlandish idea to try hit home the potential dangers of technology, specifically public WiFi access points, and give advice on how users can be more vigilant. 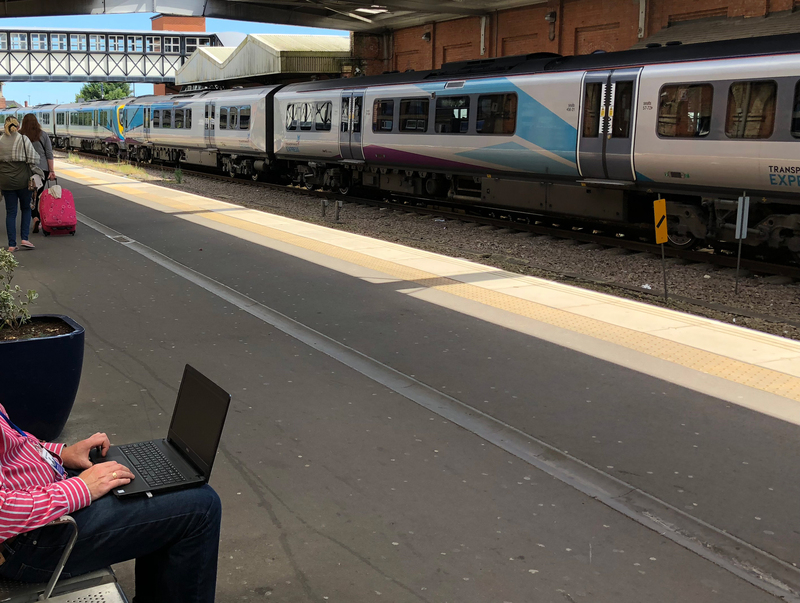 We sent our CEO into the Grimsby town centre, armed with freely available and potentially malicious software on his laptop to see if we could get some people connecting to us. DISCLAIMER: We cannot emphasise enough that throughout this whole experiment, we never allowed anyone to connect to the internet through our set-up, nor did we collect any sensitive data whatsoever. Any people who connected to our fake public WiFi access point would have tried to use internet services once connected to us, realised the connection wasn’t working and then disconnected. No harm done. Without further ado, please find the post that has already racked up over 1000 views below. There we have it, in such a short space of time we surprised even ourselves with the outcome. Commuters and people shopping around town are in such as rush and rely so much on the internet that they forget to follow almost basic logic. 6 tips for staying WiFi safe. In a coffee shop? Ask the sales assistant if they have public WiFi. Super simple yet super effective. To browse the news or double check if the price your paying in-store matches the price online, great. However, do not access any sensitive websites or applications when you are using a publicly available WiFi access point. By that we mean no online banking, no Facebook or other social media, no shopping sites that require you enter sensitive payment information such as Amazon or eBay. Most devices come with this setting as an option. Going into your WiFi settings on your smartphone or tablet device and switching on ‘ask to join networks’ means that you will never be automatically connected to a unknown WiFi access point without first being prompted for your permission. This technique encrypts all of the data from your device. If a hacker does get access to your information, it will be unreadable in its raw form thus an extra layer of protection. With two-factor authentication (2FA), in the worst case scenario where a hacker captures both your username and password for an application. If that app is using 2FA, they still cannot access your account without physically holding your mobile device which will be used to receive the authorisation code for each login session. A very powerful tool which we expect to see become a standard practice, possibly even compulsary very soon. A little effort that can potentially save a lot of problems, and a bit of battery life for your device too. If you have any questions about public WiFi networks or anything else IT related, drop an email to ask@lcsgroup.com. We will be doing more of these real-life exercises, so if there is anything you would like to see more about please feel free to let us know.